Work-at-home jobs also referred to as telecommuting jobs, have become more prevalent. Technology has made it easier for employees to work from home. Further, companies enjoy big savings and greater productivity by having virtual staff, giving them the incentive to allow employees to work from home. Unfortunately, there is misinformation and scammers who try to take advantage of people looking to earn a salary working from home. This guide will help you learn about work-at-home jobs, so you can focus on finding legitimate opportunities and avoid getting scammed. The terms and phrases related to working at home, such as freelance, home business, self-employment, telecommute, are often used interchangeably. However, telecommuting refers specifically to home-based employment. Telecommuting jobs are like traditional jobs in that they usually pay a salary or wage, have set hours, and sometimes offer benefits. If you're computer savvy, finding a work-at-home job will be easier than in other areas because the demand for knowledgeable and experienced IT and other related technologies is high. With that said, you still need to outline your skills in a quality resume and search for work in your area of expertise. The fastest and easiest way to get a work-at-home job is to talk to your current boss. Of course, this assumes that your job is conducive to working at home. If it is, it's much easier to convert your traditional job into a telecommuting position than it is to find and get hired to one in another company. Work-at-home job scams aren't the only employment scams out there, but there is so much the average would-be telecommuter doesn't know, that it's easy to fall prey to a work-at-home scam. Knowledge is the key to understanding legitimate work at home and avoiding scams. Not only should be aware of common work-at-home scams but also, you should know what do to if you think you're a victim of a scam. Many well-known companies, including Google, have work-at-home jobs. Unfortunatel, there are scammers who'll use these big company names (illegally) to dupe you into thinking it's legitimate work. Transcription, particularly medical transcription, is in high demand. Along with fast and accurate typing skills, you need to have knowledge of medical terms. To avoid scams in this area, avoid "jobs" that require that you pay them. Like other legitimate jobs, medical transcription work won't charge to hire you. It may require you to have special equipment, but it won't sell it to you. Any company that says you have to buy its equipment or software should be suspect. One of the most common work-at-home jobs you'll see in magazines is for medical billing. It's true that there are medical billing jobs, but also, there are scammers and deceitful programs that will take your money and leave you without a job. Some important things to remember are similar to medical transcription, in that you don't want to work with a company that charges you to be hired or requires you buy its equipment or software. Working at home is awesome, but it does require organization and productivity. For that to happen, you need a home office that allows you to work without distraction, contains everything you need to work, and motivates you to get things done. 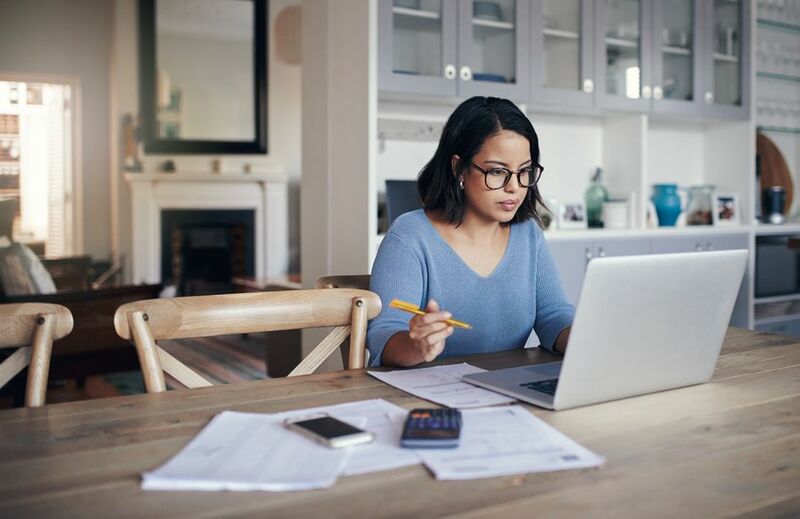 While telecommuting offers many perks, there are good reasons for considering other options such as contract work, freelancing or home business. Choosing an alternative home-based income might prove to pay more as well as get you home faster.